The meander motif is named after the river Meander, a river with many twists, mentioned by Homer in Iliad.This motif is also known as the Greek key or Greek fret. 1. 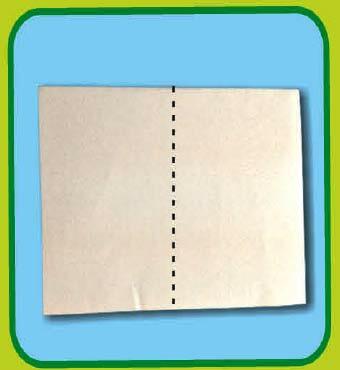 Fold the paper into half along the dotted line from left to right. 2. 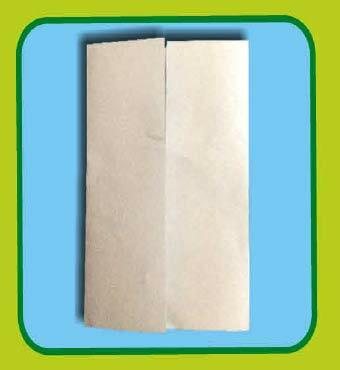 Unfold and bring both the edges of the paper to the center. 3. 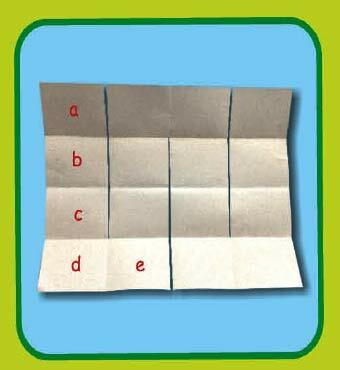 Now repeat the steps 1 and 2, this time by folding the paper from top to bottom. You should have 16 rectangles like these. 4. Cut along the red lines as shown in the picture. 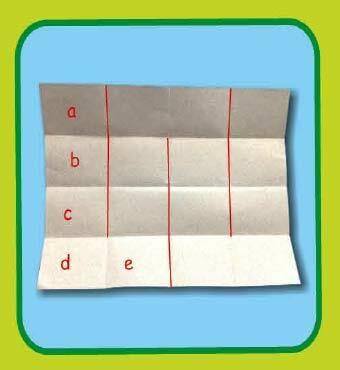 We have marked the rectangles of the first row as a, b, c, d. Fold each rectangle forward like a fan till you reach the end of the first row. So ‘a’ goes over ‘b’ and keep folding forward till you reach ‘e’. Now fold d’ behind ‘e’ and keep going forward. 5. 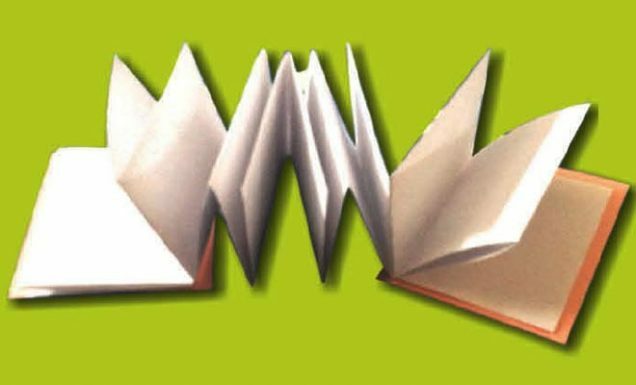 Cut two rectangles 6 x 8 cms and stick on either sides of your meander book as covers. You can write a story, poem or use it as a scrapbook. Cut out! pictures you like from old newspapers and magazines. Write down interesting facts you learn or quotes you read. Carry it to school or keep it on your desk, there’s so much you can do.